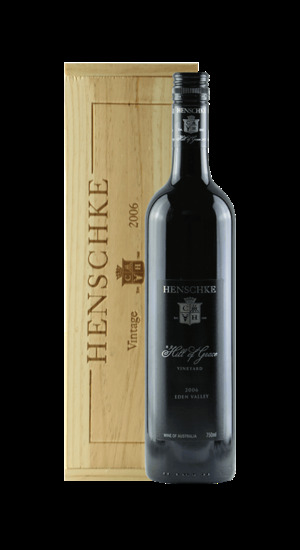 Rated at 99/100 by Robert Parker "The flagship 2004 Hill of Grace (100% Shiraz) was sourced from vines ranging in age from 56 to 148 years. It spent 18 months in 100% new French oak. Purple-colored, it reveals a breathtaking aromatic array of violets, pepper, leather, smoked meat, game, blueberry compote, and black cherry. It splendidly combines elegance with power in a spicy, savory amalgam along with that extra dimension that can only be provided by old vines and a great site. Drink this hedonistic Shiraz from 2015 to 2040."